A cross-departmental digitalization project in a large financial company is a massive task. Countless processes must be considered, employees convinced, and budgets planned with foresight. However, sooner or later there will be no alternative if the company is to be set up for the future. It is often beneficial not to work on all business areas simultaneously, but to modernize processes in defined units step by step. Particularly regarding the digitalization in the banking sector, there are special features to which attention should be paid. Using the corporate lending process as an example, we show which five success factors you should consider when implementing your digitalization project. Digital transformation is one of the core topics of current political and economic debates, and hardly any congress abandons the buzzword of digitalization in its slogan. One-minded tenor: If you ignore the fourth industrial revolution, you will be overtaken and left behind. In the financial sector, especially in the lending business, the scope of such a structural upheaval is huge, since the mass of data and processes to be considered is immense. These data and their combination have a decisive influence on the course of decisions - the customer does not forgive errors or even loss of data and lost trust is difficult to regain. Not at least for this reason, digitalization ventures in this industry are approached with restraint. In addition, there are difficult to calculate investment costs and concerns about computer-supported decisions in this complex environment. It is essential to proceed with a clear strategy and to choose the best starting point. The identification of business areas with high efficiency potential is the first fundamental step to achieve relevant, measurable results right from the beginning and to ensure the necessary acceptance for the next steps among those in charge. In the banking sector, lending business offers a high and often unexploited automation potential. The experience gained in many realized projects has shown that the lending business, especially the corporate lending business, often still involves a large number of manual processes. 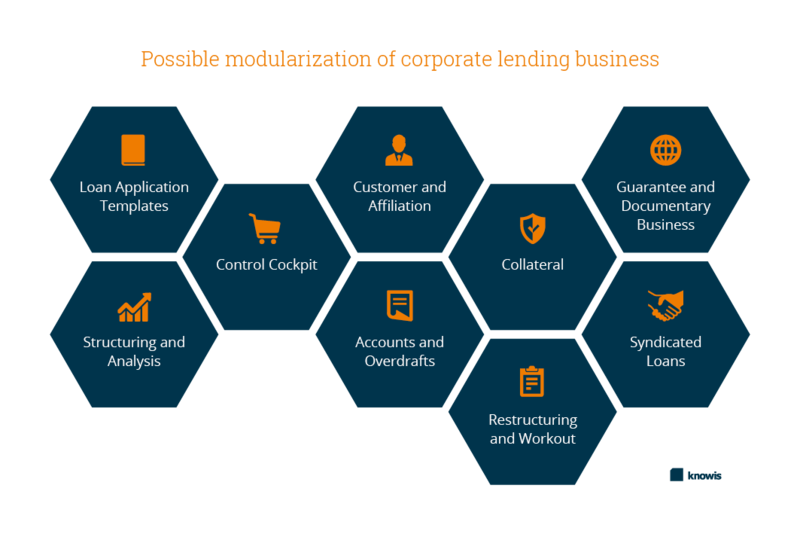 Due to the numerous different parameters, it is difficult to map the multi-layered corporate loan financing in an insular digital solution and was therefore often ignored in selective modernization measures. The basic problem: most of the relevant data is not available in digital formats. By using a , a reliable data basis can be created based on which a coordinated and step-by-step digitalization of the corporate loan business can be realized. In the following, you will learn about five key success factors that you should consider in your digitalization venture. Process analysis has shown that in traditional corporate lending decision processes, up to 30 percent of working time is spent on manual data transfer and data preparation. The complex structures of corporate lending business involve many system transitions for which there are often no IT interfaces and processing steps are thus carried out either on paper or via office documents. It is unavoidable, for example, that decision-relevant information from different legacy systems or previous work steps, depending on the occasion or addressee, is constantly sought, processed and further processed. With the help of a digital loan application template, the components of loan documentation required in the processing section can be supplied with data from existing systems or previous processing operations. Added value lies in the fact that process data that was previously not stored at all or only stored unstructured locally in MS Office documents can now be bundled and made efficiently usable. The data collected in the life cycle of a loan relationship and insights from the processing of loan applications, collateral objects, collateral, analysis, limits, covenants and loan decisions are then available for all types of follow-up activities. Among other things, the extent to which existing systems are connected is decisive for the scope of this effect. When it comes to granting loans, for example, there is an important process interface between the account managers and the specialists who are responsible for analyzing and processing the data - i.e. between the front office and back office. The different perspectives of the employees require an ongoing exchange of required information, status reports and customer requests. As a result, communication and time effort increases and processes are paused because one waits for subsequent deliveries. In the worst case, the customer becomes part of an iterative information procurement process. A high internal e-mail volume is often an indicator of where the use of rule-based system checks through business process management and cognitive technology can be worthwhile. Whether submitted by the customer himself, entered by the account manager or triggered by the system, the corresponding facts can be checked for plausibility and completeness based on rules before being forwarded to processing units. 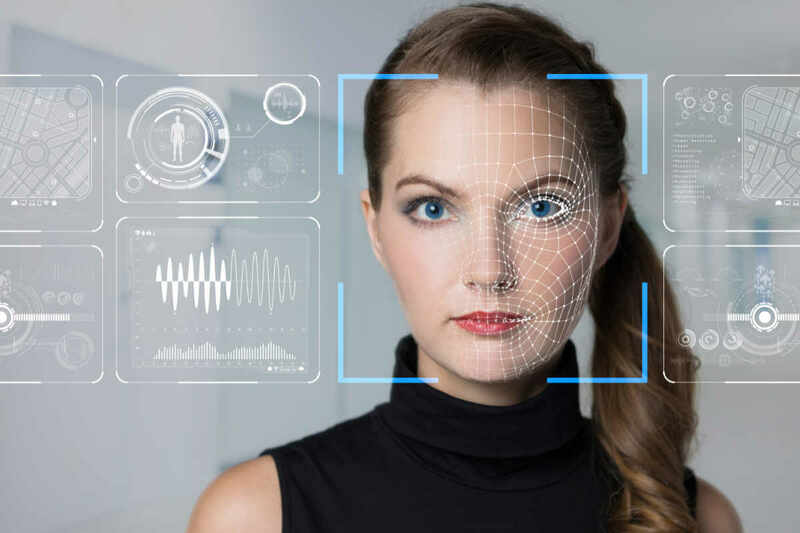 A networked system can also take on tasks that go beyond simply recognizing the stage of readiness for processing and, for example, directly request missing data from the respective contact person. Superfluous e-mail traffic involving several parties becomes obsolete. The processes and interrelations in the lending business are complex and information is often distributed across different subsystems. Not least for reasons of complexity, many digitalization projects in the banking sector fail or are not even approached. In the first step, it is not necessary to digitally map the entire process; rather, the focus should be on certain parts of the credit process that can be digitalized and automated step by step. To achieve this, the entire process must be broken down into its individual parts and the respective potential recorded. These parts can then be purposefully implemented, used and combined using the modular principle. Later additions or extensions, up to the end-to-end solution, are possible at any time. In this way, rapid improvements can be achieved, employees can be trained successively, and knowledge can be drawn from the current project for the next digitalization phase. It has become a self-evident fact to interact with digital processes in many areas of life. This can be when shopping via the Internet, booking a holiday or communicating with friends and family. Accordingly, customers' expectations regarding the digital experience and transparency of services are rising continuously. It is obvious that it is difficult to meet these customer needs in the credit sector with analogue processes, since the most current data is not guaranteed online. But once the processes are digitalized, there are completely new possibilities in customer service in the financial sector. The customer can now be accompanied at his digital journey via a customer portal, functions of the loan processing system can also be made available to him online. He has access to the status of the work process at all times, can actively influence it and is included in the processing operation. The audit security of documents relevant to supervision is one of the core issues for the entire banking sector. The digitalization of the decision-making processes ensures complete, comprehensible and unambiguous documentation of all processes - and this is guaranteed to be tamper-proof. A comprehensive authorization concept (adapted to job or functional descriptions) can determine exactly who may read, change, delete or send certain data. For auditing purposes, it is always possible to see who processed which document at which time. This makes the laborious research work much easier. Frequent questions to clarify the facts of the case are thus a thing of the past. In summary, the essential basis of any digitalization initiative is the creation of a reliable database. In this way, the course can be set for all further process digitalization. To achieve noticeable improvements as quickly as possible during implementation and to achieve high acceptance, areas with high efficiency potential should be identified and focused during the implementation. Gradually transfer individual processes and learn from experience instead of wasting too much time with the theoretical planning of an integrated solution. Your customers are already digital and expect the same of you.